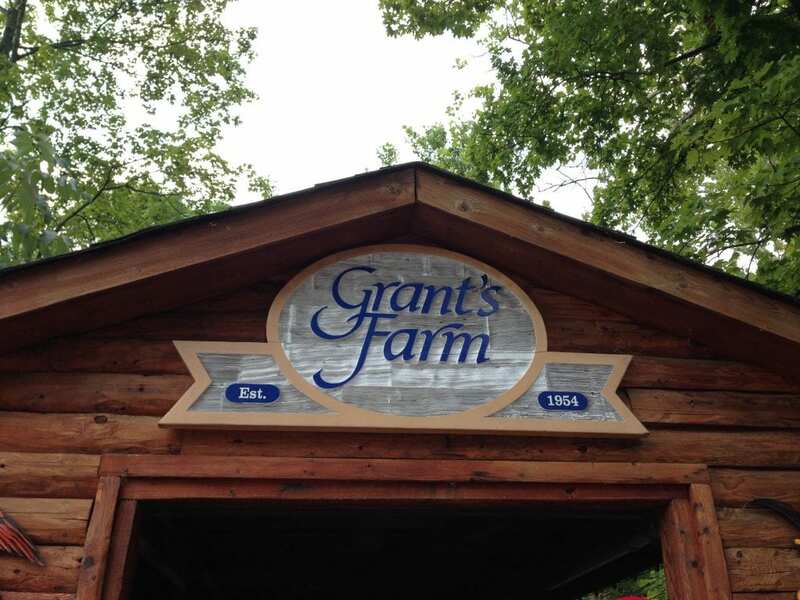 I receive complementary passes to Grant’s Farm. All opinions are 100% mine. With summer winding down, my family wanted to take a special trip together somewhere new, yet not to far away from Indy. 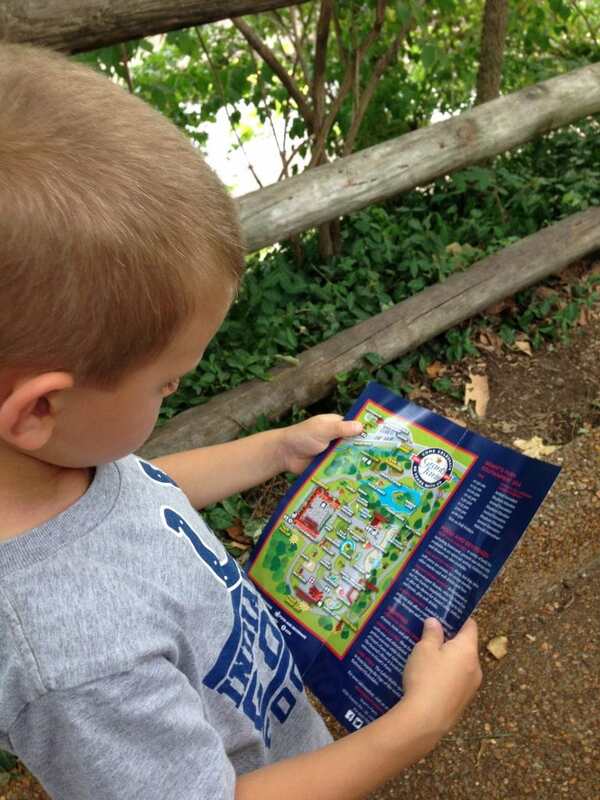 We learned about Grant’s Farm, the 281-acre ancestral home of the Anhuser-Busch family, and wanted to visit one weekend before school started. Last weekend we headed out on the 4 1/2 hour road trip to St. Louis and had a fantastic time. 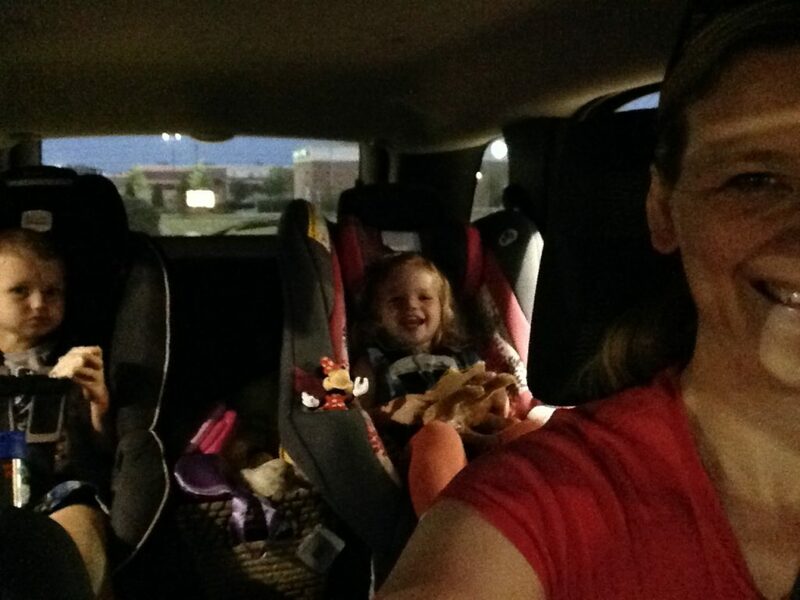 Not the best picture, but you can see how excited some of us were to be heading to the farm! The drive wasn’t very difficult. Getting up early, combined with a 1 hour time difference allowed us to get into St. Louis about a half an hour after the park opened. I highly recommend getting there early as the crowds grew significantly about an hour after we arrived. As soon as we entered the gates, we followed the crowd to board the Tram that will take you through Deer Park and to the Tier Garten where the animal exhibitions are. Your other options when you first enter the grounds is to visit the General Store (where you can pick up the photo they snap of you when you enter the park) or you can cross the roadway to the new Swan Paddle Boat Ride on Mirror Lake. 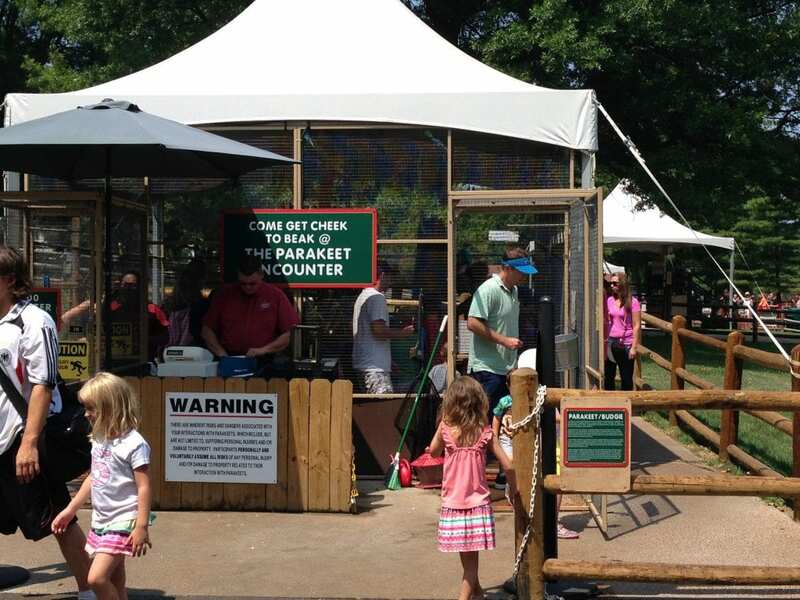 As the tram rolls through Deer Park you can see Bison, Antelope, different species of deer, Zebra and more! They roam around Deer Park and will even get up close and personal with the trams at times. 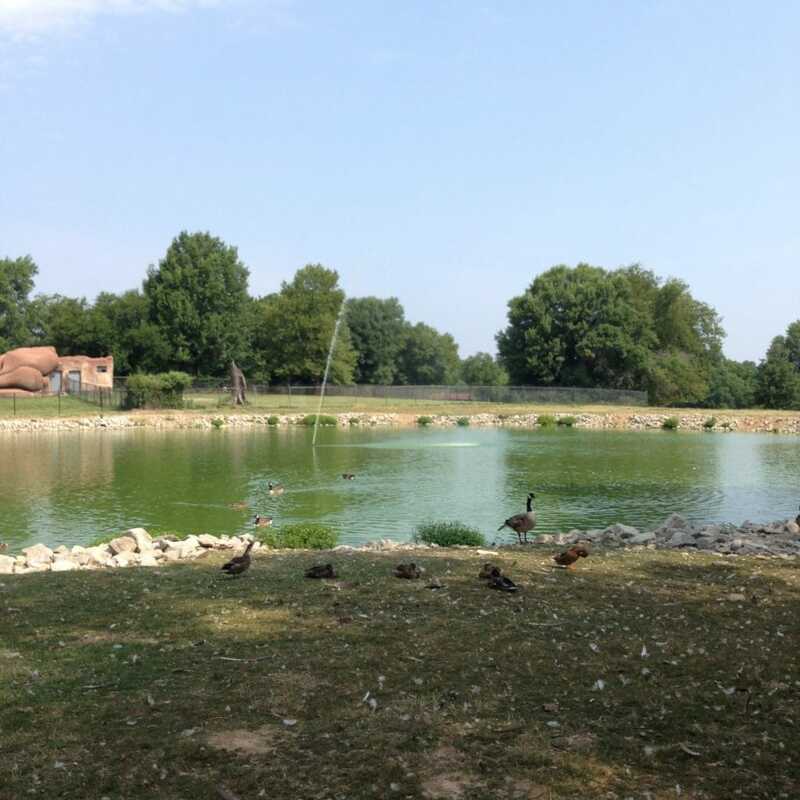 Deer Park also hosts a few lakes stocked with Koi and goldfish that attract many of the parks birds. My kids were pretty fond of the train! A nice employee asked if we wanted a family picture in front of the train. It was so thoughtful. The last time we had a family picture was our family photo shoot last fall. Immediately upon entering the Tier Garten you can feed the goats a bottle of milk or two. I would recommend getting the Fun Pass for only $5. 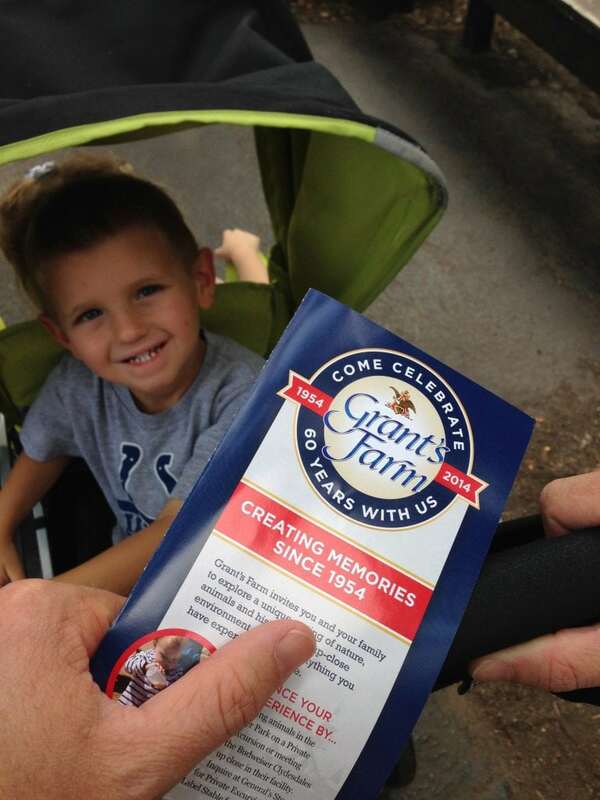 The Fun pass will get you 2 bottles of milk to feed the goats, a sno-cone and a carousel ride! My son didn’t want to go into the goat pen so my daughter and I went in. She immediately freaked out. The goats will jump up on you if they see that you have a bottle of milk and she didn’t like that. In fact, one of the goats started eating her hair. I quickly got her out and she ended up enjoying feeding the goats from behind the fence. In hindsight, I wish we started feeding the goats that way from the beginning. Right next to the goat pen is the carousel. You can get a ride on the carousel for $2 a person. My son and husband did the newest feeding attraction, the parakeet feed. For only $1, the staff gives you a stick with bird feed on it and entrance to the feeding area. You can feed the birds and interact with them. My husband wasn’t paying attention and some of the birds started to just jump right on his arm to get at the food. Some of the kids in there had about 8 birds on their arms! For only $1, this is a fun experience for older kids and adults! 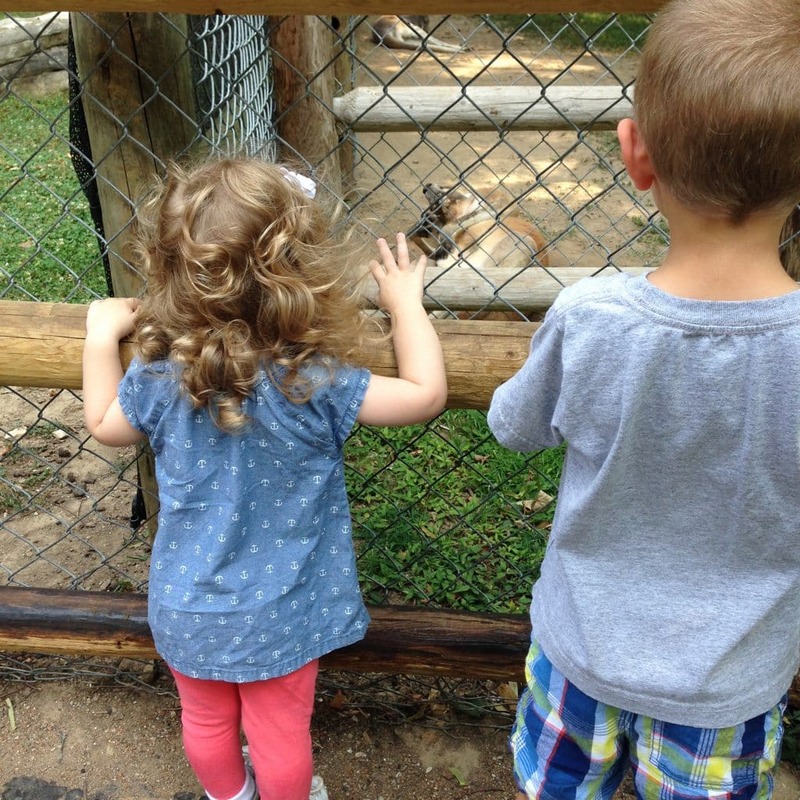 Caroline loved seeing all the animals. I don’t think that I have ever heard her laugh so loudly, so often. Just hearing that sound was worth the drive for us. 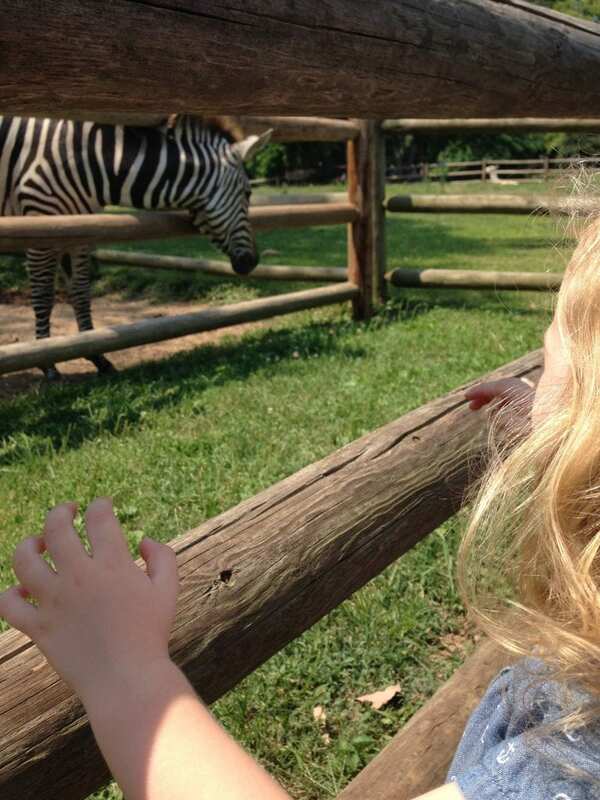 For whatever reason, she thought the zebra and the kangaroo were hysterical. This particular weekend was extremely hot. We found a fun way to cool off at Grant’s Farm. They had a sprinkler mist system set up over one of the bridges on the property. Caroline loved it! 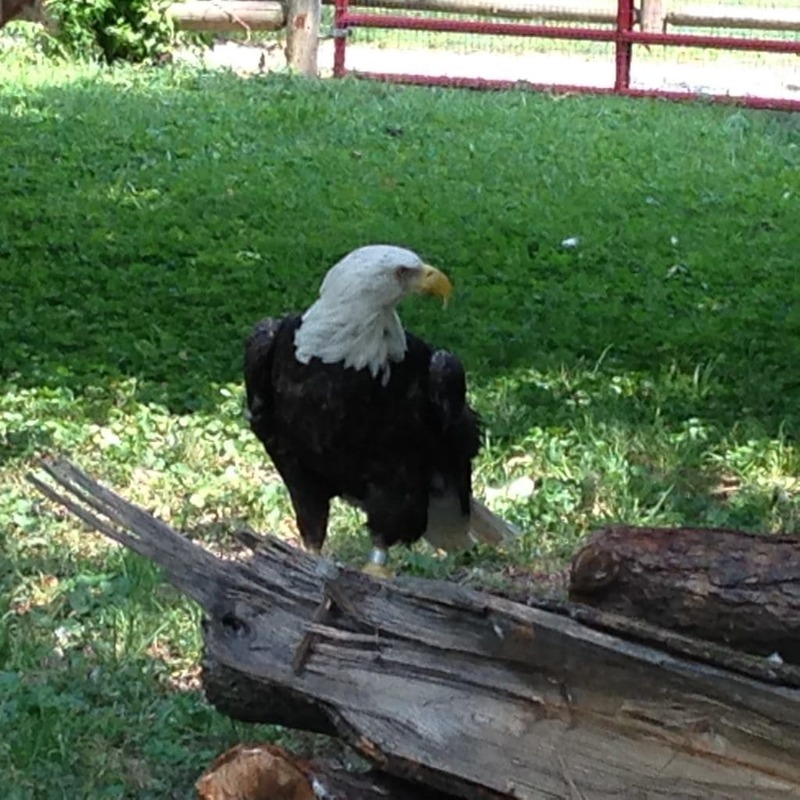 We found another great way to cool off at The Bauernhof. We were hungry after our long drive and our animal encounters so we sat down to a hearty lunch. For the kids we ordered a kid’s meal at Grant’s Farm Deli. The Grant’s Farm Deli offers a variety of sandwiches, salads, snacks, beverages and additional items. I was very impressed with the Kid’s Meal. We got a large PB&J, a larger side of grapes, some chips and a chocolate pudding cup all for $5. I have eaten at several park eateries in my life and this is by far the best deal I have seen. 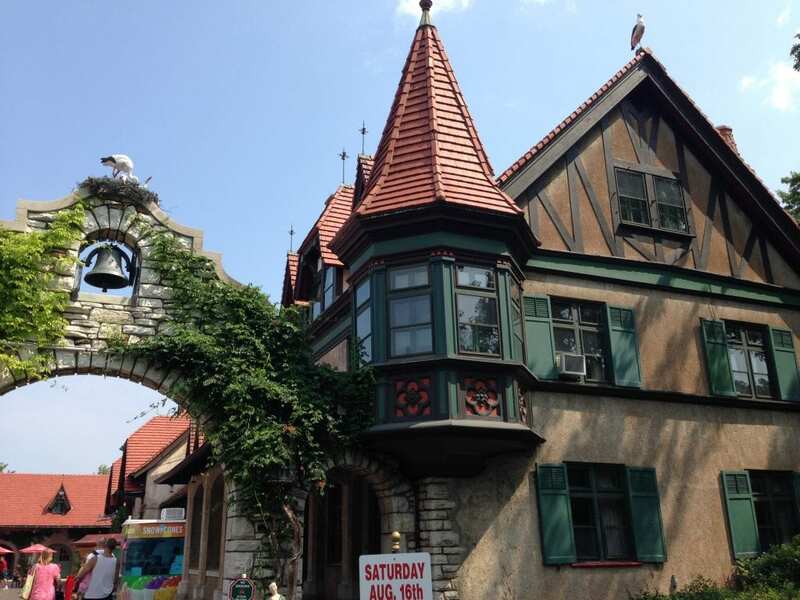 Adults can enjoy complimentary Anheuser-Busch beverages in the Bauernhof area (visitors 21 and over). They limit the samples at 2 per guest. 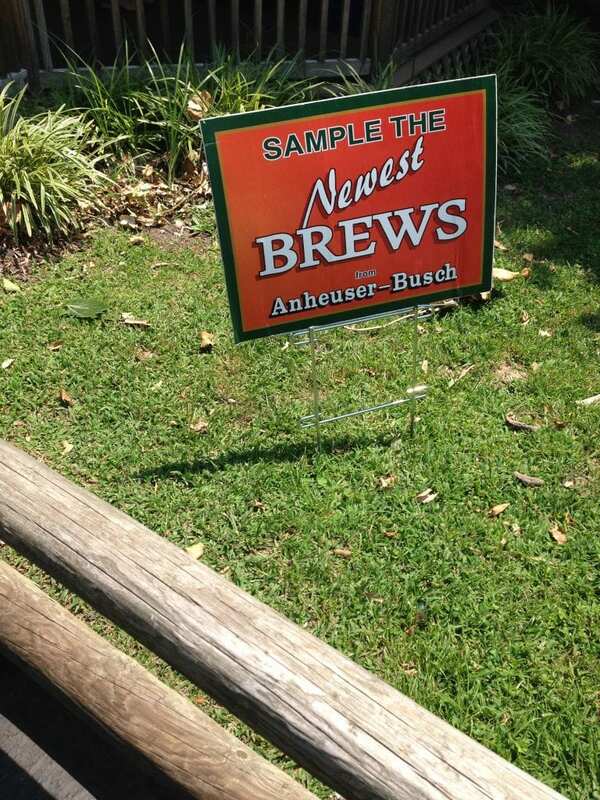 We also saw a few signs to sample some new brews! 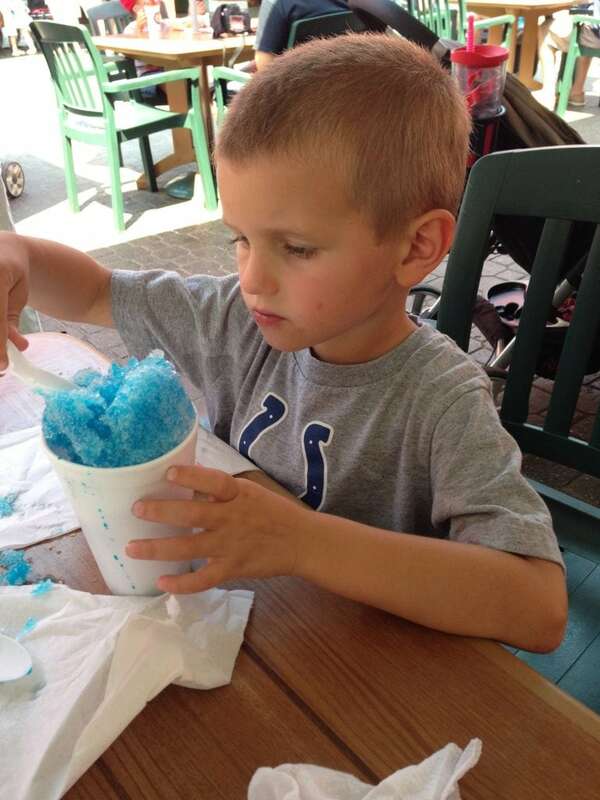 My son was also able to redeem our Fun Pass coupon for a Snow Cone while we were there. In addition to food, The Bauernhof surrounds a beautiful courtyard and is typical of a 19th century Bavarian farm complete with stables, a carriage house, and offices and quarters for those who lived and worked there. The stables are full of horses and donkeys that you can visit. The kids really enjoyed seeing them in their stables. The Bauernhof also is where you catch the tram back to the main gates when you are ready to leave. I was very thankful that there were misters and fans available in line. 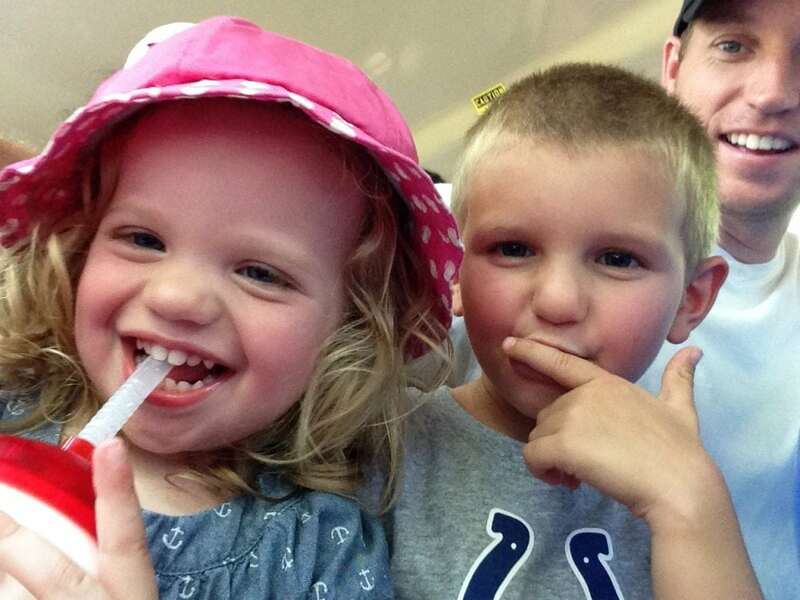 The kids were in good spirits and captured their silliness in a selfie on the tram. When we got off the tram we visited the General Store and looked at our family picture that was taken when we entered the park. When you get back to the partaking lot area, don’t forget to check out the Budwieser Clydesdales. You can visit their stables right at Grant’s Farm. Grant’s Farm is the official “prep” school of the Budweiser Clydesdales. The Budweiser Clydesdale Stables are home to over 50 head of Clydesdales that vary in age from weanlings at 6 months of age to retirees of fifteen or older. Anheuser-Busch has one of the world’s largest herds of Clydesdale horses and owns approximately 200 nationwide. Overall I was very impressed with Grant’s Farm and amazed at the value of this park. For only $18 per car, this is by far an excellent value for a family. These days it is hard to go out and have any kind of animal encounter for less than $50 let alone $20. There were so many amazing activities for kids of all ages and of course, there were special touches for the adults as well. 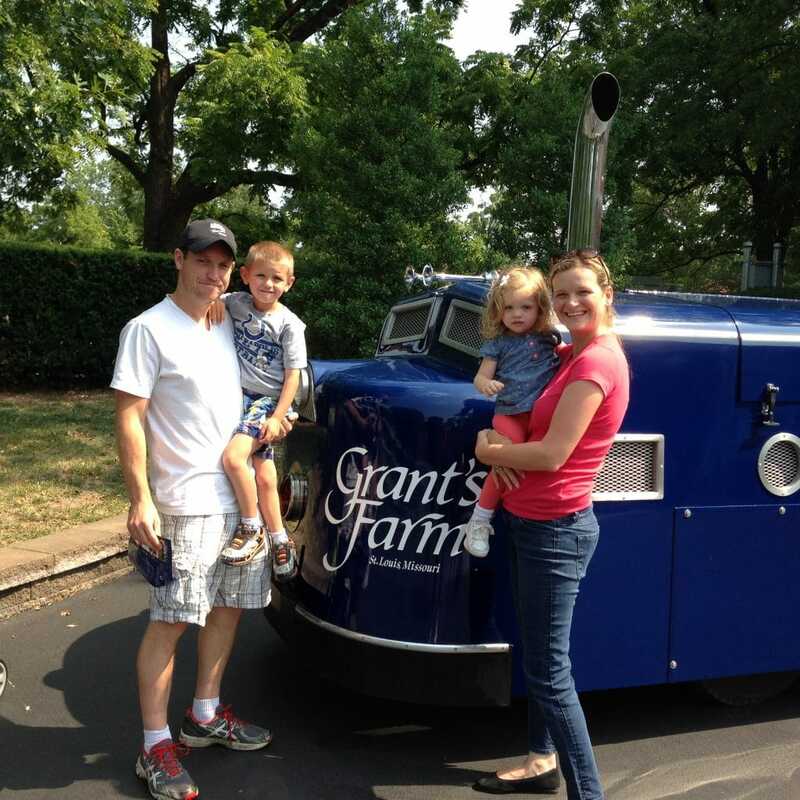 I would highly recommend visiting Grant’s Farm the next time you are in the St. Louis area. I know that there will be many more visits in our future. Park closes 90 minutes after the park entrance closes. 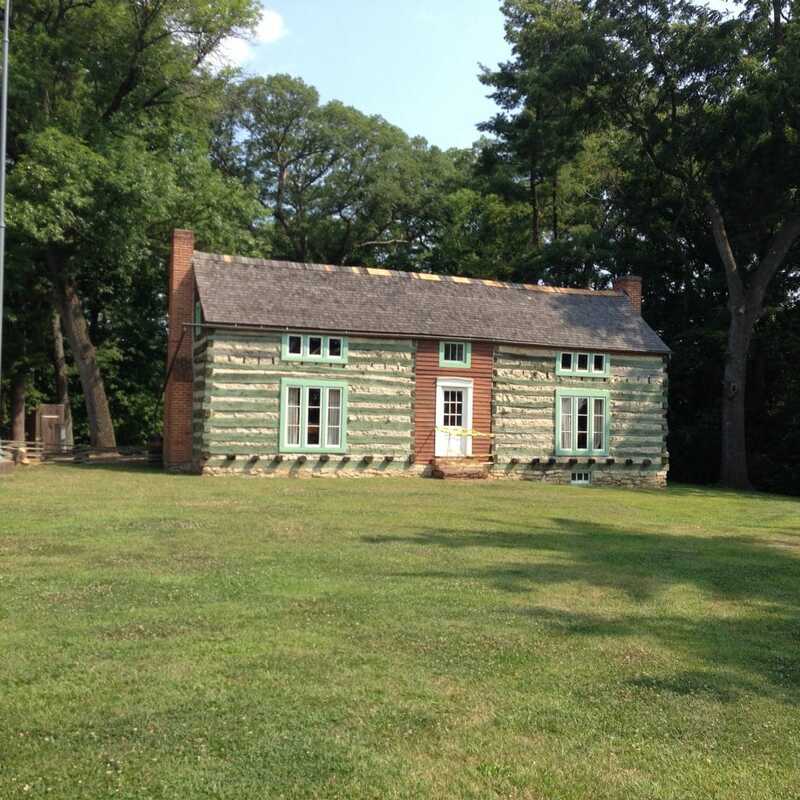 Admission is free at Grant’s Farm. However, there is a parking fee of $12 per car or $30 per bus. For more information be sure to follow Grant’s Farm on Facebook and Twitter! What are your most important features in a family friendly attraction? 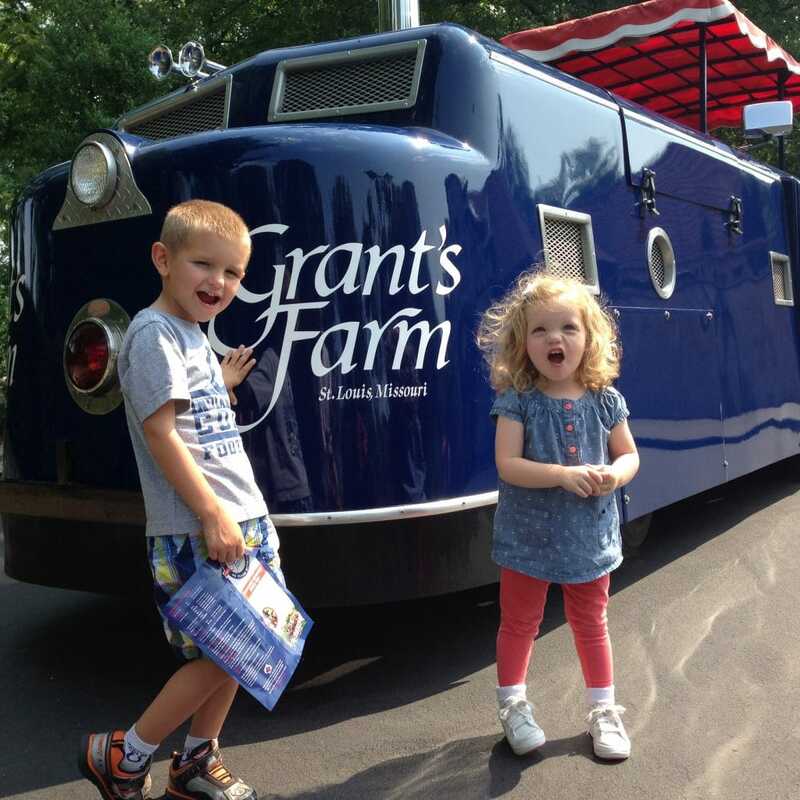 Have you been to Grant’s Farm? « SwimWays Toys are Perfect for the Pool! What a fabulous family fun day! I think you were wise to do the feeding from behind the fence. I think they would have scared me too! Looks like a great place to spend the day with family. I love that you get to actually give the goats a bottle. 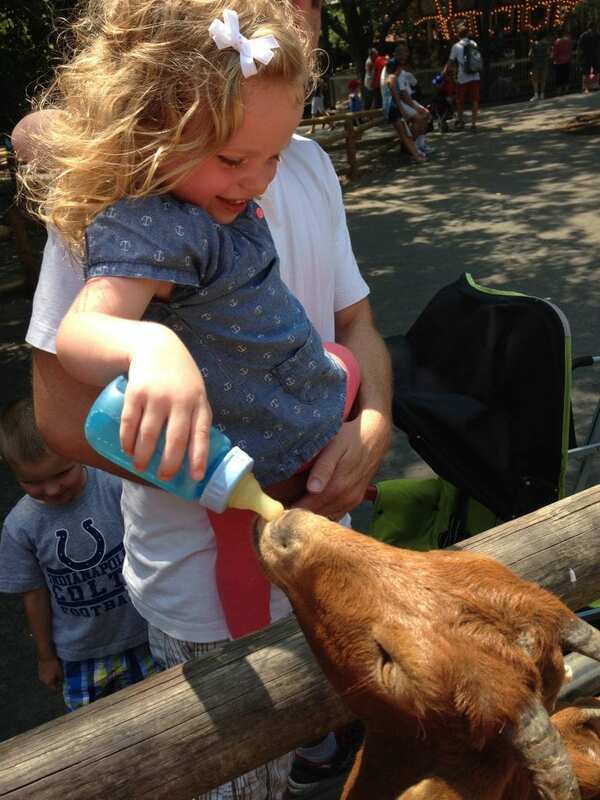 My kids always chicken out feeding animals, but I bet they would feed milk to the goats. That whole place looks so cute & perfect for families. Can’t wait to go! What a beautiful place to visit! I’d love to take my family there. What a fun day it looks like you all had! What a deal that admission is too. #1 thing for me is at a family attraction is a place to rest up in the shade. It surprises me how many family oriented places don’t have a decent place to sit down that isn’t tree covered or doesn’t have a canopy on top. What a great looking family! 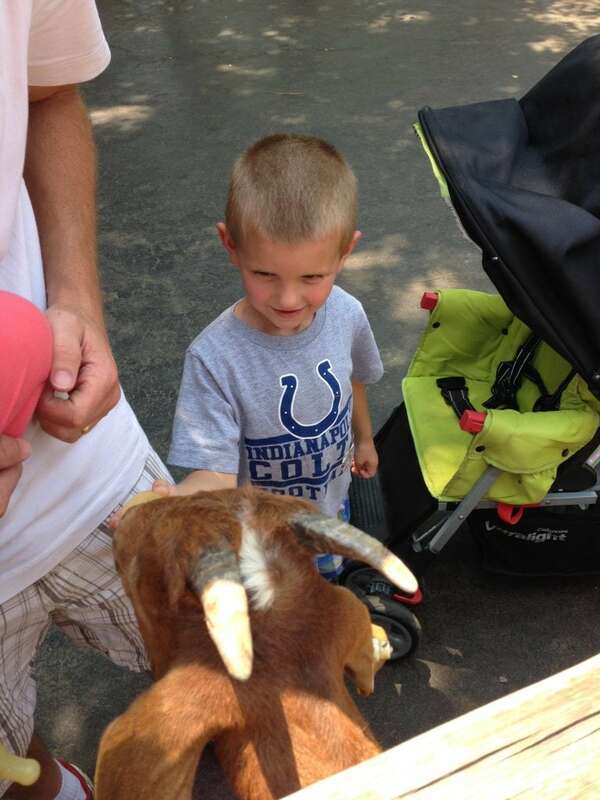 The fun pass sounds like a good deal, how fun to feed the goats! And a snow cone too? Yes, please! Looks like a great day with the kids, so cool. Sounds like an interesting trip I love the old house! I’ve never been to Grant’s farm. I’d love to take my grandkids there.